Ever feel like you're being pulled in opposite directions, like your head and heart can never agree on anything? There are plenty of astrological explanations for inner turmoil, but there's one very specific cosmic quirk you may have overlooked: the angle between your sun and moon signs. As you might already know, your sun sign sets the tone for the rest of your personality. It can give you a general idea of your ego and behaviour. Meanwhile, your moon sign reflects who you are deep down — your emotions, deepest desires, and your capacity for personal change. You can discover both by checking out your birth chart, which is also where you can find out about angle between them. If you've never checked out your birth chart, it can look pretty confusing at first glance. 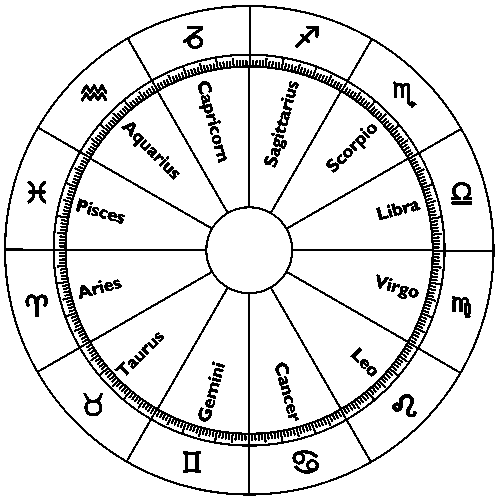 All you need to know, without getting too far into the cosmic weeds, is that all of the planets (plus the sun and moon) are pictured as points on the Wheel of the Zodiac, in the exact location they were the moment you were born. These points form angles with each other known as "aspects" among astrologers, and each type of aspect can indicate nitty-gritty details about your personality, depending on which planets you're looking at. Luckily, you don't need a protractor to measure an aspect — you just have to count the signs between two planets. For example, when a planet is separated by two signs, it's called a sextile aspect. This indicates a harmonious relationship between those two planets — the areas of your life that they respectively rule will rarely conflict. Here, we're specifically concerned with the aspects between the sun and moon, so having the sun and moon sextile in your birth chart suggests a confident understanding of what motivates you and what you desire deep down. You probably have an easy relationship with your head and your heart. But, when it comes to other aspects, the sun and moon don't get along so well. Astrologer Annie Heese writes that having the sun and moon in opposition, where they're six signs apart, is a particularly difficult dynamic. With this aspect in your birth chart, you likely struggle to act in your best interest. Your energy level and actual motivation might not always line up, and you find it difficult to express your feelings. Given how hard-won inner peace can be for you, your relationships with others are probably of great importance — it's here that happiness comes easily. Having the sun square the moon, when their positions are three signs apart, is similarly (if not more) challenging. If an opposition aspect makes your ego and emotions feel out of step, a square creates flat-out tension between them. Here, your sun and moon bark contradictory commands while you're stuck trying to find a happy medium that will appease them both. Always trying to balance your immediate wants and deep-set desires can be exhausting, but taking plenty of time to make any big decisions can make things easier. Of course, your sun and moon might not form a particularly easy or difficult aspect — so-so aspects do exist. But, if you've always wondered why you make snap decisions before listening to your conscience or, on the flip side, why you're too deep in your feelings to make any progress toward your goals, there's a chance the sun and moon are duking it out in your birth chart.